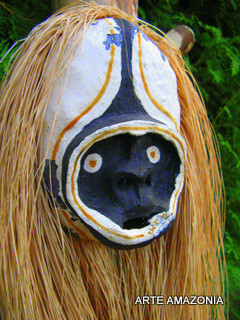 Amazonia Masks - ARTE AMAZONIA provides a global voice through art for the indigenous cultures of the Amazon. 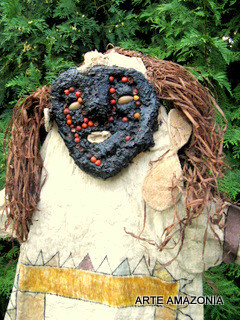 This organic art form is rooted in indiginous spirituality often representing mythological beings and rainforest spirits. Throughout Amazonia, we find that the spirits of the rainforest are actively intermingled with daily life and honored in sacred ceremonies. For example, as seen with the mythical figure, Reyo, the grandfather of the woods, who is percieved as the protector of all thing that live there. 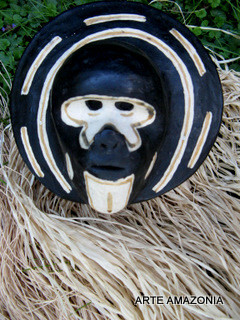 His spirit is reflected in the sacred mask that is made of only natural materials of the rainforest including beeswax and palm fibers. 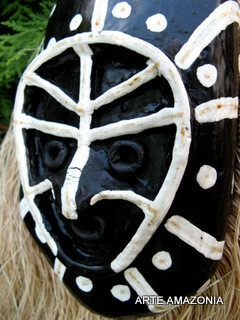 He is the central figure in a special ritual called the Warime, a fertility celebration of the Piaroa culture (source Overing). Through symbols and ritual, the spirits are honored. However, these traditions are now facing increasing decline as they are losing their cultural identities. The traditional art of mask making is being lost and replaced with commercial ones. Traditionally, the detail of their origial works are quite remarkable which reflect not only their deep spirituality, but also their deep knowledge with the processing and application of rainforest materials and plants. 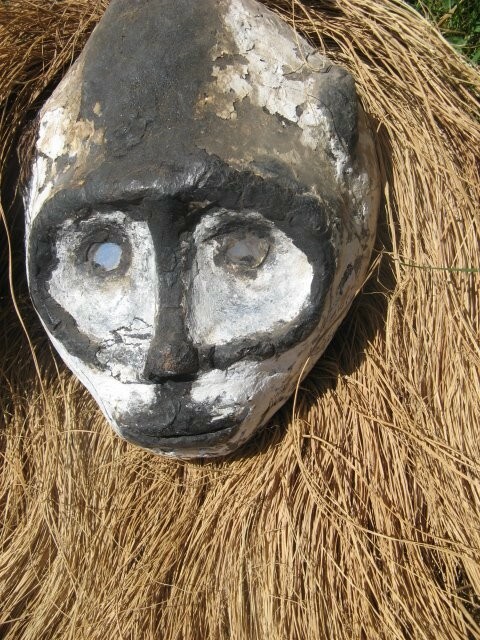 Common materials use in the making of masks include various palm fibers, woods, vegetable dyes, yanchama (bark cloth which is a natural fiber, paper-like fabric) , and bees wax. anchama, the Tikuna utilize the bark of a Ficus tree, Ficus glabrata var.obtuso.